It’s a brand new TRC! First, Darren looks at the backlash over a recent confrontation between protesters and school kids at the Lincoln Memorial. Cristina examines ‘puffery’ and its implications in the world of advertising. 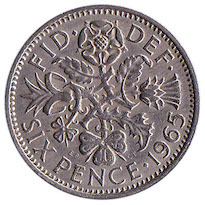 Pat rounds out the show by fact checking the movie ‘Bohemian Rhapsody’ and goes straight to the man himself, Brian May, to corroborate a longtime story that he uses a sixpence as a guitar pick. This entry was posted in The Reality Check Episodes. Bookmark the permalink. In the Puffery piece I was really expecting Christina to mention the “Pepsi Points Case” where someone collected enough points to redeem the Harrier jump jet shown in one of the commercials. https://en.wikipedia.org/wiki/Leonard_v._Pepsico,_Inc. Still, thanks again for another great episode. (Health & weather had put me a week behind on podcasts.) Take care.